I run Secunia PSI on all of my networked PCs (which means “all my PCs,” in fact). Every now and then, the program smacks me with forcible reminders of how interesting it can be for network admins to keep up with an ever-changing landscape of patches, fixes, and updates. Secunia informed me that my Citrix WebApp plug-in was out of date and that a newer version was available. But because I’m not a licensed Citrix user at present (I was working as a contractor for a chemical company last year, and got the plug-in from them so I could use their VPN) I wasn’t able to download the latest version (no license, no access, as is perfectly understandable). I ended up having to find the directory in which the plug-in resided, and then having to manually delete same, to clear the warning on my machine. No big deal: I’m not using it anymore anyway. 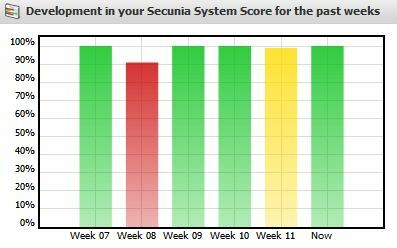 Secunia also let me know that a new version of Chrome 10.x was out (and wow! the first one only shipped last week: those Google guys move fast!). I clicked the About menu entry in the program and it informed me that Chrome was up-to-date. So I had to go to the Chrome download page, then download and install the latest version to clear that warning. It just goes to show you that when it comes to keeping up with software updates, it’s not always a push-button, completely automated affair. Sure, Secunia will indeed update lots of stuff for you, but there’s always something that automation doesn’t catch (my lack of Citrix download access on the one hand, and Chrome’s refusal to recognize it needed updating on the other). That’s when an admin has to step in, figure out what’s broke, and fix it the old fashioned way: diagnosis, analysis, repair, and post-assessment. I guess we should all be glad: otherwise, somebody in Pune or Hyderabad would be taking care of my machines for me, and I’d be out of a job. OOPS - sorry "...if you had [B]put [/B]it’s folder name into an Ignore Rule.